When talking about Christianity and its historical origins with people, I have been asked by many: what about the gospels not included in the Bible? Why were they not chosen? What do they say? Is there some kind of conspiracy going on which chose “the official truth” and left out legitimate voices? This month I read N. T. Wright’s commanding study[i] of maybe the most talked-about alternative gospel: the Gospel of Judas. It is a fascinating read. But for those of you who can dedicate only 6 minutes and 43 seconds to the topic, here’s the skinny. 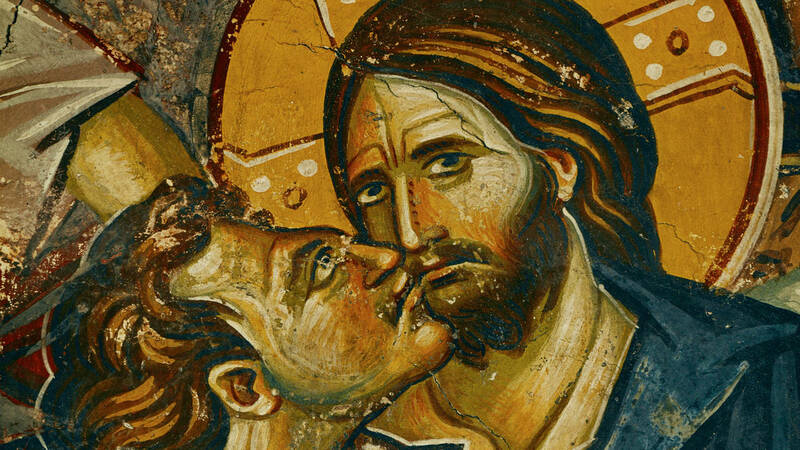 Why it is not credible: The Gospel of Judas is of course a credible historical artifact of 2nd and 3rd-century Gnosticism and its Christianity-borrowing wing. Yet, if our question is the historical origins of Christianity itself and the real Jesus who lived in Palestine, the Gospel of Judas does not contain credible information for a few reasons. Date: It comes much later than the gospels written by the eye-witnesses. The Gospels in the Bible were written between 60 and 100 A.D. Our copy of the Gospel of Judas, on the other hand, was written between 240 and 320 A.D. in a local variation of Coptic (23-24). We have thousands of manuscripts of books of the New Testament, some going back to the 2nd-century, but just one late manuscript of the Gospel of Judas. Recognition: The Gospel of Judas was not recognized (or even known before it existed of course) by the communities of early followers of Jesus, who instead recognized pretty unanimously the biographies written by Mark, Matthew, Luke, and John. When the canon of the New Testament was selected, there was debate about whether to include the books that now are at the end of the New Testament, such as 2 Peter and Revelation, but unanimity regarding the four gospels. No one then considered alternative gospels written centuries later by unknown authors (who used nonetheless names of apostles) as credible as the first biographies. Cultural distance: Its message conforms to the wider 2nd and 3rd-century Greco-Roman context and is utterly foreign to 1st-century Palestinian Judaism. In fact, describes Wright, “One key feature of all such texts is their relentless hostility to the main lines of ancient Judaism”. The world is not good (unlike in Genesis); the creator is a malevolent god; the climax of salvation is not resurrection and a renewed world but escape from the world. Therefore, it is historically not credible to consider the Gospel of Judas a true expression of the teachings of Jesus when it contradicts the teachings recorded by the eye-witnesses and the Jewish roots of that worldview. It is totally credible, however, to consider the Gospel of Judas an expression of 2nd and 3rd-century Gnosticism who uses the name of Jesus to voice their message. Quite a clear conclusion to me: just slightly more historically credible than Lady Gaga’s spin-off of Judas. [i] N. T. Wright, Judas and the Gospel of Jesus: Have We Missed the Truth about Christianity? (Grand Rapids: Baker Books, 2006). [ii] Francis Spufford, Unapologetic: Why, despite everything, Christianity can still make surprising emotional sense (London: Faber and Faber, 2012), 155-156. Thanks for posting this, it was an interesting read!